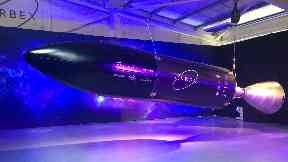 Company plans to create 170 jobs to build rockets ahead of first launch in 2021. "We are humbled by the trust that SSTL has shown in Orbex," said Chris Larmour, chief executive of Orbex. "To have the world's leading small satellite manufacturer supporting us at this stage of our development is not only a boost to Orbex, but for the UK space industry as a whole. "SSTL has shown great leadership in the UK satellite industry for decades, and now they are leading the way again in this strong show of support for a UK-based launch provider."